Dan Cirucci: Biden Bowing Out? Signs Point To Exit . . .
A wide ranging commentary and dialogue on the media, politics, today's headlines and the popular culture. Always fresh and new every day! Biden Bowing Out? Signs Point To Exit . . . Early signs point to a dramatic reversal as Joe Biden nears a decision not to seek the presidency in 2020. In fact, sources say Biden has been so unsettled over the recent allegation that he inappropriately touched Democrat Lucy Flores and the responses those allegations have triggered that he's grown disenchanted with the idea of launching a 2020 campaign. And now a second woman has come forward! "He's seriously jarred by all this," one person commented. "He my be beginning to feel that time has passed him by; that he's just out of touch with the current political climate in his own party. He simply doesn't understand it all." The allegations highlight a long known aspect of Biden’s persona that has been obvious for years: the many affectionate whispers, hugs, embraces, shoulder squeezes and touches he has long doled out to women, often on camera and at various public events. Many in the Democrat Party are said to be relieved that Biden is moving away from a 2020 campaign. "The man is from another era," one high-ranked Democrat who asked not to be quoted observed "In today's climate, even a few months can translate into light years. Donald Trump changed the equation -- changed all the rules for running for president. Now, anybody can run and candidates are cropping up everywhere. Joe Biden's well of experience counts for nothing in this environment -- in fact, it's now almost a liability." Biden is said to have made his decision after close consultation with family, friends and long-time associates. It seems he just doesn't want to put himself through the sort of microscopic examination that all this would take. In fact, the former vice president was reportedly thrown off course by the whole #metoo movement and its repercussions. Biden, a lawyer and former chair of the Senate Judiciary Committee apparently found the whole thing to be at odds with the entire concept of innocent until proven guilty. He has been cited by Rush Limbaugh, quoted in the New York Times, featured at Real Clear Politics and Lucianne.com and interviewed on radio, TV and in social media. He's Dan Cirucci, the founder and editor-in chief of the Dan Cirucci Blog and one of the most widely honored public relations professionals in his field. He's also a public relations consultant to numerous organizations and individuals. For many years he served as a Lecturer in Corporate Communication at Penn State University. A former President of the Philadelphia Public Relations Association (PPRA) he has lectured at Rowan University, Temple University, The College of New Jersey and Arcadia University. He has conducted workshops on public relations for thousands of participants throughout the nation and has taught countless others the art of public speaking. He has also advised numerous lawyers, judges, public officials and political candidates. Cirucci is a prolific writer and his op-ed pieces have appeared in the Philadelphia Daily News, Philadelphia Inquirer, Courier-Post and other publications. A native of Camden NJ, Cirucci is a former President of the Philadelphia chapter of the International Association of Business Communicators. Cirucci served as Associate Executive Director of the Philadelphia Bar Association for nearly 30 years. He currently serves as Chair of Penn State University's Professional Advisory Board for the Corporate Communication major at Penn State Abington. He received his MA degree from Rowan University and his BA from Villanova University. He has been named a Distinguished Alumnus of Rowan's public relations program and was inducted into the Philadelphia Public Relations Hall of Fame in 2003. He received the E. A. "Wally" Richter Leadership Award from the National Association of Bar Executives' Communications Section. The Award is the Section's highest honor. He has also been honored by numerous other local, state and national groups. Cirucci's passions include politics, the popular culture, books and authors, art, communication, music, theatre, movies, dining and travel. 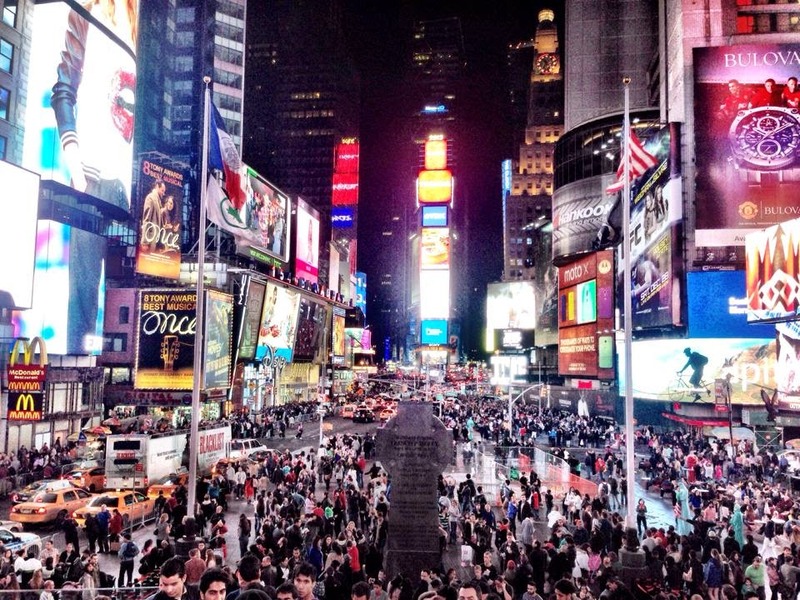 Reviews of Broadway shows, dining, accommodations, shopping -- all the latest! Was Clyde Barrow Impotent? Gay? Bisexual? From Wellstone To McCain: Lessons NOT Learned! Unless explicitly attributed to others, the opinions and views expressed on this blog are my own, and do not represent the views of any employer or other organization. By using this blog, you agree that all original content on this blog is copyright of Daniel A. Cirucci. You may quote from my posts provided that you clearly identify me as the author, link to the original post or home address of this blog, and do not charge for access to the website, publication or other media in which the quote appears. I like to link to people who link to me. Although comments are moderated, I accept no responsibility for what other people say, and I reserve the right to block or remove any comment for any reason or no reason. Any e-mails sent to me are subject to publication, and any disputes regarding this site will be litigated exclusively in the jurisidiction in which I reside at the time of the dispute. powered by website analytics software. Watch Episodes of THE ADVOCATES with Dan Cirucci! 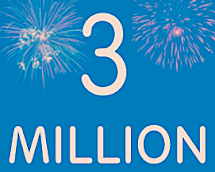 Now, more than 3 MILLION page views for the Dan Cirucci Blog! Kate Smith? You Don't Know The Half Of It! One Whole Year And Still Going Strong . . .
You Shall Know Them By What They Call You! A Blessed And Happy Passover To All! Perennial Candidate? He's So Much More Than That! Two Long Years And $35 Million Later . . .
Time To Kiss The Radicals And Haters Goodbye! You Don't Want To Miss These Stories . . . Lifting Millions Out Of Poverty -- The Right Way! It's That Time Of Year Once Again In Cherry Hill! Fifteen Sayings We Don't Hear Much Anymore . . .
Unquestionably, This Summer's MUST SEE Event! Watch Candace Owens Live At Penn Now! LIVE Coverage Of The Inferno In Paris . . .
Is THIS 'The Time For The Power Of Darkness'? The Living Embodiment Of Good Friday . . .
Are You ready For 2020? Here We Go . . . When It All Comes Back To Bite You In The A - - ! Oh Yeah, And He Should Know . . .
'Phony Phil's' NJ Transit Keeps Getting Worse! ANOTHER NJ Gas Tax Hike Looming? OMG! The ONLY Word To Describe It Is DAZZLING! THIS Is Why We LOVE This Guy . . .
Well, They Say They're 'Sanctuaries' -- Right? Liberal Word Games; A Guide To True Meanings! Trump Tops Sanders In Likely Matchup! Denouncing A Cruel And Vicious Tyrant . . .
Italian-American Film Forum Picks 2019 Winners! Ashamed Of Herself? Nah, She Has NO Shame! You're Still Paying Far Less In Taxes! Ya Gotta Hand It To Her; She's Got The Answers! Hey, You Don't Wanna Miss These Stories . . .
Reconsider Legal Weed; Focus On Justice System! Voters Give Bibi Clear Path To Victory! HOORAY! Let's All Work Together To Ax It Now! Our Ten Favorite Conservatives Right Now! Those Closest To The Danger Know He's With Them! When You Think About It, It Boggles The Mind! Video Tribute: Remembering John Candy . . . Think About The Absurdity Of It All . . .
Aren't You Sick Of These Idiotic Phonies?! Open Your Eyes! The Signs Are All Around You! If You Build It, They Won't Come! Entering 'The Twilight Zone,' Circa 2020 . . .
Pennacchio: Nanny's Murder Demands Action Now! Watch -- Then Tell Us It's Not A Crisis . . .
Was He Really Trying To 'Cop A Feel' -- Or What? Presenting The Democrat Party Platform For 2020! How Radical Can Dems Get? Outrageously Radical! Obama's Own Border Control Chief Supports Trump! And Now, Let's Get To The Nut Of The Matter . 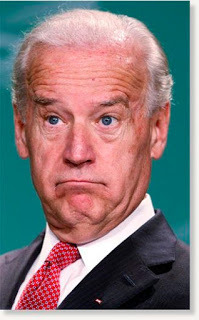 . .
Is Biden Bid Kaput? Two More Women Accuse! Beyond Fashion, How To Craft Your Own Style! No Matter What, They Just Can't Shut It Down! Dear Father Donohue: Please Say It Ain't So! And Now, The Latest From The King . . . Here's How You Handle THAT Situation . . .
Watch Closely -- Is This CREEPY, Or What?